Goslar is accessible by regional trains from Hannover or Braunschweig – both stations are well connected to the ICE network. The Goslar railway station is located right on the edge of the historic city center; hence no bus or tram is necessary – just walk a few steps and that's it. Take the highway A7 (Flensburg - Kempten) and take the exit no. 66 "Rhüden/Harz". Go ahead and follow the signposts to "Lamspringe/Bad Harzburg/Goslar/Rhüden", later to "Goslar-Zentrum". There are parking grounds nearby. From Hanover airport take the urban railway (S-Bahn) to Hanover main station and take a regional train to Goslar there. Goslar is located in the north-western foothills of the Harz in Lower Saxony. It looks back onto a long history as it was an imperial city for nearly 250 years during the mid ages. Even today the "Kaiserpfalz" – the Imperial Palace of Goslar – is still in perfect condition, including the "Kaiserhaus" (emperor's house), the palace chapel of St. Ulrich, the old church of St. Simon and St. Jude and the Church of Our Lady. The emperor's house (Kaiserhaus) is the best-preserved secularized building from the 11th century in Germany. Goslar was – apart from Speyer – one of the favourite imperial residences especially of the Salian emperors who were governing the Holy Roman Empire in Germany between 1027 and 1125. Nowadays there is a large exhibition about the era of the salian emperors. Goslar was an imperial city between the years 1009 and 1253. Goslar's historic city center and the Imperial Palace are UNESCO World Heritage Sites. The city center welcomes the visitors with numerous half-timbered houses – one more beautiful than the other! It's a pleasure walking through the narrow alleys, and one doesn't know where to throw a glance first. During the 19th and early 20th century Goslar was a spa town. Amongst others, the royal family of Hanover visited Goslar regularly for health treatments. During the 2nd half of the 19th century Goslar became a popular retirement residence for rich urban dwellers, especially from Berlin, Braunschweig and Hanover, who built noble residences and villas. • The Goslar museum with an old Lord's Table called "Krodoaltar" which is an altar made entirely of bronze and which is the only surviving metal church altar from the Romanesque period. • Museum of the late medieval history, located in he Zwinger Tower and Dungeon. Goslar is worth a visit for sure, and the visitor should schedule at least two, better three or more days for the attendance in Goslar. The Goslar Christmas market isn't just a Christmas market: it's surrounding of the historic market place which is lit up in a festive shine makes it a unique experience for sure. There are more than 80 decorated wooden huts which offer craftwork like candles, wooden toys or artwork. Furthermore, there are many huts with eat and drink. The smell-mix of bratwurst, gingerbread, cotton candy, cinnamon and roasted almonds is in everyone's nose. Visit the World Cultural Heritage Rammelsberg: more than 1,000 years of mining history can be found there. Back then, mainly copper ore was mined, but also lead-zinc ore, sulphur ore, brown spar, barite ore, banding ore and kniest. Nowadays the mining area can be viewed by visitors. There's a museum about the mining history as well. 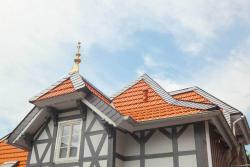 Goslar is embedded in the unique primeval nature of the Harz Mountains: hiking, cycling and more. For instance visit the Harz National Park which is a nature preservation area which covers 20,000 hectare of the middle range of the Harz mountains. Recreate in the pure nature. If you prefer mountain biking, then try out the "Volksbank Arena Harz" which is part of a 2,200 km network of cycling trails including the highest mountains of the upper Harz. Choose between 74 different tracks. These modern apartments are located in Goslar’s Old Town district, right on the historic wall. City-Appartements Am Wall offer free WiFi and a fully equipped kitchen. 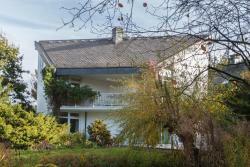 Surrounded by the scenic Goslar countryside, the exclusive Holiday Home Villa Werenberg is peacefully located in Goslar. It lies 800 metres from the town centre, and features a conservatory and free Wi-Fi. This traditional-style, 4-star hotel in Goslar offers spacious rooms, free Wi-Fi, and traditional food from the Harz mountains. Each of the non-smoking rooms at the Hotel Kaiserworth offers a different design.